Timothy Fosu-Mensah was a product from the Ajax youth academy. In the summer transfer windows of 2014 he moved on the age of 16y to the youth of the English giants Manchester United. In February 2016 he made his first team Premier League debut against Arsenal. Meanwhile he gets regular play time in the first team of Dutch coach Louis van Gaal. 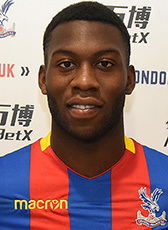 Fosu-Mensah renewed his contract until 2020 at Manchester United during the season 2016-2017. In the 2017-18 season he is loaned out to Crystal Palace. The talented defender made in August 2017 his international A debut for the Netherlands. In August 2018 Man United has given another opportunity for Fosu-Mensah elsewhere. The defender signed a season loan-deal at Fulham FC.